I recently learned that what are antique clocks to me, are not always "antique" to others. The old definition of antique meant something that was at least 100 years old, so by that definition an antique clock is one that was made prior to 1907. But in the everyday clock market, the shelf and mantel clocks that were made in the 1920’s and the art deco clocks (see photo at right) of the 1930’s are considered antiques as well. Early models of the original Big Ben wind-up alarm clocks that were made by Westclox from 1909 through recent times are definitely sought after by clock collectors even though a 1940’s wind-up clock is far removed from the antique clock category. The nostalgia for the early models of these and other clocks and radios is shown by the popularity of current day replicas of them available in all kinds of stores. The history of America begins in the early 1600’s before the United States were formed and, for example, tall clocks (that today we call grandfather clocks ) were being fabricated by the first American clockmakers . These earliest examples of American clockmaking are the oldest clocks in our heritage. There weren’t many clocks made in the United States before 1840 when the clockmaking industry blossomed in the northeastern states of Massachusetts, Connecticut and New Jersey. Most clocks made in the United States before 1840 were fabricated by hand in small clockmaking shops and any remaining examples of these clocks are rare and collectible pieces. Of course the American clockmaking industry lagged far behind the European craftsmanship that had been in existence for centuries. On a recent trip to Germany , I stopped in an antique shop to see what was available. Noticing that I was just an ordinary American tourist the proprietor nicely inquired whether I was looking for “new” antiques or “old” antiques. In Germany, I was told, “old” antiques were made before 1750 or some such date and “new” antiques after that. Elegant clocks that date from the 1700’s that feature intricate clock mechanisms and highly ornate clock cases were routinely fabricated for European royalty, nobility and the ultra-wealthy. These truly marvelous clocks grace the halls of museums and sophisticated mansions around the world (see photo on the right). One collector of such fine clocks commented to me how inferior the American clocks were to those made in Europe like the ones that he collected. He was quick to point out the lack of sophistication in the American movements and how perfectly awful the sound was when they struck the hour. I smiled and replied that those were some of the traits of the American clocks that I liked the most! You see, I admire the early American clockmakers for their ingenuity. 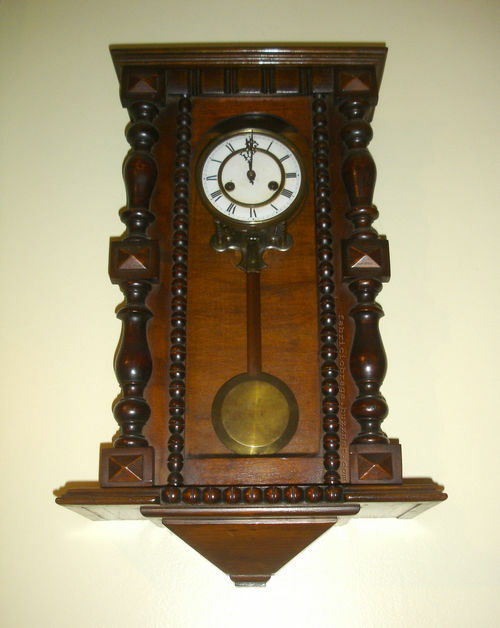 In the absence of the availability of brass in the 1600’s and 1700’s, American clockmakers made our antique clocks that kept good time with a mechanism carved from wood. When brass did become available, our American clockmakers focused on our democratic principles and manufactured clocks that could provide an affordable timepiece for every home, not just for the elite members of society. While I admire the elegant European clocks, I’ll take an American clock any day! As a clock collector myself, I always like to research any clock I buy to see what it may be worth today or to find out when and where was it built. 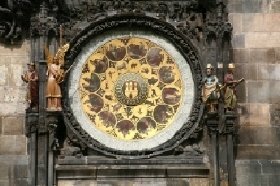 There are many books on the subject, but one quick and easy way to research a clock can be found at AntiqueClocksPriceGuide.com. You can do a lot of research on this site free. They charge a small annual fee for using the price guide which is well worth it if you buy and sell a lot of antique clocks. Do you have a favorite clock you would like to show off? Or, maybe you have a question about a clock you own. If so, check out our Clock Forum. Need more information? You can also obtain antique clocks on Ebay. They always have a large collection available. Not a member yet? Get your free eBay account here.